If you have been playing guitar for any amount of time past a month or 2 you will start to get tired of playing the same things all the time. Everybody goes through this and we will look at how to overcome this dreaded feeling and break on through to the other side. First let us examine why we get stuck playing the same old things over and over. We start off playing something because we like it and enjoy how it sounds. Or maybe you liked the challenge of learning something you knew you couldn't yet do. Then once you conquer climbing the mountain of play these tunes you keep playing them to relive the victory you rightfully earned. This is all excellent and I would admonish you to continue to keep these songs in your repertoire. Wanting something different after your victory? The problem is that as humans we crave variety and without variety we start to get bored. So the victory we earned and should take pride in has become something we despise. Not because we don't like it any more but because we now associate it with the feels of being stuck and a lack of variety. Before we look at the solutions, make sure you aren't just avoiding getting the song mastered. Sometimes when we learn something and realize it's "too hard", we accept the false belief that we won't be able to do it. Then we give up and mask this unpleasant reality with the idea that it is just boring. But the reality is it is anything but boring, it is that we might want something boring so we don't have to work at it. If this is the hard truth for you, it's OK. We all do this from time to time. I would recommend stopping away form it for the time being and returning to it once you have some momentum going by learning some more songs just outside your comfort zone and not something that is way outside your abilities. Well what should you do instead? Now that we got the hard stuff out of the way let's get into the solutions. The first step requires commitment. If you are committed to moving forward and getting past being stuck it will happen. If you aren't committed then it won't. It's that simple. Just commit. The good news is that you don't have to do it by yourself. 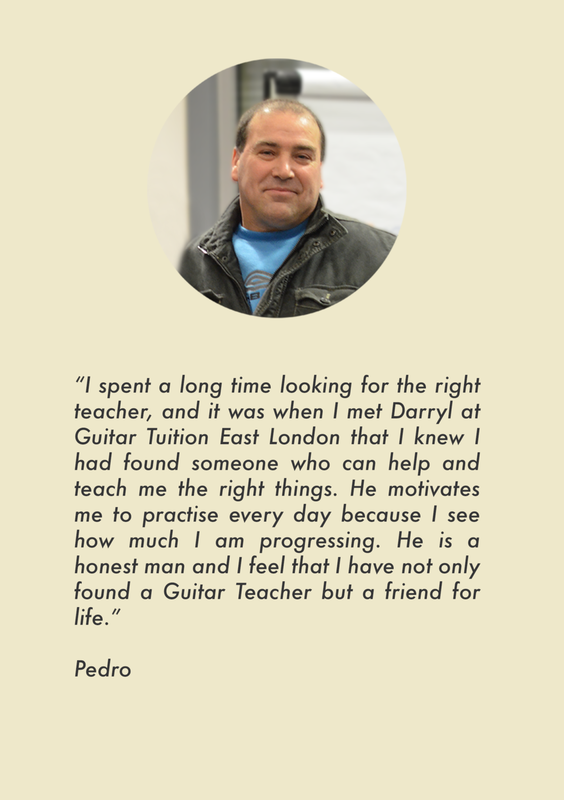 Find a teacher who have a proven track record of helping students reach their guitar playing goals. Then stay the course laid out for you by the teacher. Next make sure you have time set aside every day to work on this. Even 10 minutes is better than nothing. After a week of staying consistent with practice you will feel better about the process and yourself. Even if you don't see any progress yet, it will feel better than just playing the same old thing over and over. You will have already broken yourself out of the rut without even realizing it. Now that you are out of the rut, don't get stuck in another. Make sure to give the time and diligence to the things you are working on to do them well and get that feeling of pride in conquering them, but don't stop there. Continue moving towards new goals immediately after you've reached the one you are aiming at. This is the way to keep your guitar playing fresh and exciting all the time. To continue getting victories and create a lot of momentum. About The Author: Ryan Duke is a professional musician, and guitar teacher at Guitar Lessons Seattle.